Cookbooks are unique in the publishing world. They’re not quite coffee-table books, even though they rely on visual impact in much the same way, and they’re definitely not like novels, biographies, travelogues, or any of the other genres of book out there, even though they certainly contain elements of all of the above: narrative, history, globetrotting, and personal context abound in cookbooks. As Walt Whitman might say, cookbooks contain multitudes, and this makes marketing them a unique challenge. 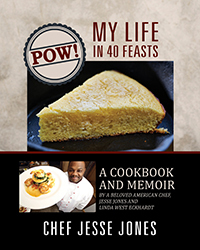 Have you written and published a cookbook recently? Here are four tricks to boost your sales of your beautiful, oh-so-personal treasure of a cookbook. This one ought to come easy, as cookbooks are already a gift unto the universe, and the act of writing one can often feel like offering up a part of yourself and your personal history for others to make use of. A fantastic way to entice users to purchase your cookbook early on in your marketing strategy is through giveaway promotions. 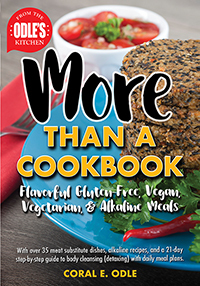 Offering up a discount on your other books or products, especially if they relate to the cookbook’s central theme, is always a good plan. If this is your first book, you may not have other items to discount, but that’s okay! Goodreads and Amazon giveaways are a great way to raise the profile of your book and put its cover before the eyes of new readers, and you can offer a time-restricted discount on the cookbook itself, say for the first week it’s for sale, or around a holiday. Offering a week-long discount is a great way to get people to make the decision to purchase your book. Even though you leave some money on the table in the short term, the boost to your Amazon Sales Rank will allow you to make more in the long run. 2. The giving doesn’t have to stop there. Alternatively, if you don’t want to cut into your profits from the cookbook, you can offer a unique PDF file with select special recipes not in the cookbook for people who order your cookbook during a certain period. This “bonus” file is often a great way to introduce your next cookbook idea, too; so if you’ve already published a book of entrees, the “bonus” file is a great place to premiere a dessert recipe or two as you start putting together a book of desserts! In addition to your giveaways and discounts, don’t forget about the other opportunities for giving your readers more of what they want as a way to whet their appetites! Leading up to your book launch is the perfect time to start posting a steady stream of free content from, around, or relating to your cookbook on your blog, author website, and social media platforms. This not only builds anticipation for your book’s release but also adds to your newsletter distribution list, follower counts, and other outreach connections and provides great examples of what your book will be covering. If your book is already out, don’t worry! These strategies still apply after the fact, although the language you use to frame them may change to reflect the context. Instead of building anticipation, your goals and your language can feature select excerpts and reviews from fans. After all, word of mouth is the most effective marketing strategy of all! Working with other cookbook authors is a highly effective way to drive traffic to your own author website, book sales listings, and social media platforms. Food bloggers, after all, more or less rule the Internet, especially on visually-driven platforms like Instagram and Pinterest. You can offer these bloggers and social media stars free copies of your cookbook or the aforementioned “bonus” sample files to give to their readers and as an enticement to partner up for interviews, video spots, and “guest chef” adventures, and you can offer to feature them on your blog or website in return. These partnerships produce material that operates much like a high-powered review would for a more traditional book, and potential customers really appreciate seeing someone they admire and respect confirming their taste and judgment in cookbooks. Better still, if you’re able to organize a blog or social media tour and coordinate all of these articles and video blogs and so forth to come out at the same time, you can create lots of momentum leading up to your launch or an upcoming sale. Selling cookbooks can be difficult. Everyone already has an established sense of what they like when it comes to food, and they very rarely take risks and branch out … unless they hear a good story. Narratives are what capture the cook’s imagination every bit as much as they are what capture the imaginations of readers of novels and biographies and so forth. There’s a reason why Julia Childs became a superstar, and it wasn’t just because she knew her way around the kitchen: she wove stories into her food, and wasn’t shy about what she loved. Successful food bloggers today are the same way! It’s so easy to be shy about selling a cookbook. After all, you’re trying to sell your own personal story as well as your favorite recipes! But in the end, it’s the story which will grab peoples’ attention–the story, plus some beautiful photographs or illustrations, and competent recipes. But mostly the story. If you want to sell your cookbook, you need to be up front about how much you love what you do, and how much you love your cookbook, and how this cookbook of yours is a part of your life. Your wonderful, magnificent, flavorful life! Still not sure where to start in marketing your cookbook? It may be time to lean on an expert! If you’re looking to market your cookbook, there’s never a better time than now to inquire. Visit us online at www.outskirtspress.com, where you’ll find countless further recommendations to suit your marketing needs. To see our staff picks of amazing cookbooks from many of our authors, visit our Pinterest page by clicking here.